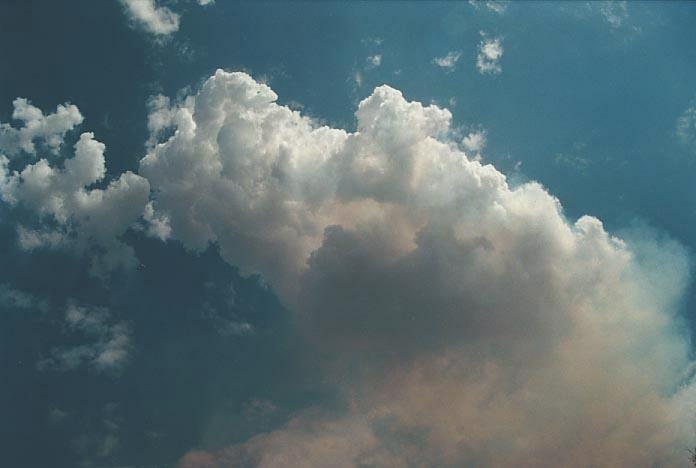 After the heatwave of 15th January 2001 with temperatures reaching around 47C mark in northwestern Sydney, the heat to a lesser extent was situated over the northern inland of New South Wales. That day, David Croan had rung me and alerted me that the models were predicting an extremely good storm outbreak for Wednesday 17th 2001. Referring to the models myself, I could see why David was so excited. The wind shear with a strong increasing jet from the southwest was developing for that day and the there was reasonable good lower level directional wind shear. The models also picked up a line of convergence along the ranges which would help with uplift. Surface lifted index values were expected to be down to -10 around Walcha!!! 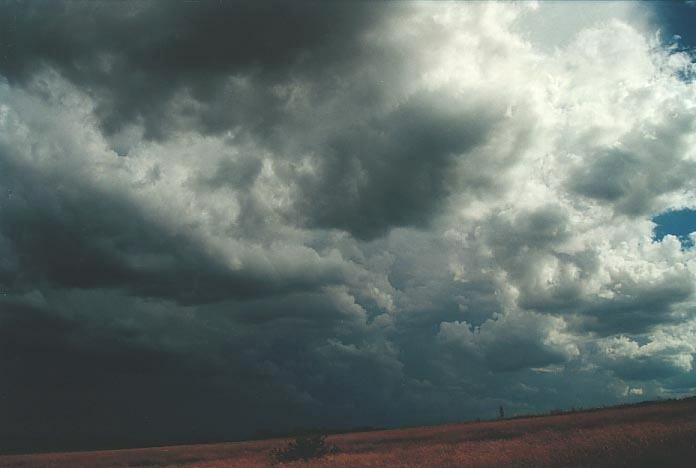 With a good moisture profile, the conditions were signalling a supercell outbreak. But looking at the models, it also looked resaonably good for Tuesday 16th as well!! There was to be a southeast surge as the cold front pushed up the coast and together with the dry warm air inland, it would make for a good storm environment. David could not chase as he wanted to give the opportunity for Paul Graham to chase with him Wednesday. Damn!!! Another solo chase. It was going to be a two day chase. 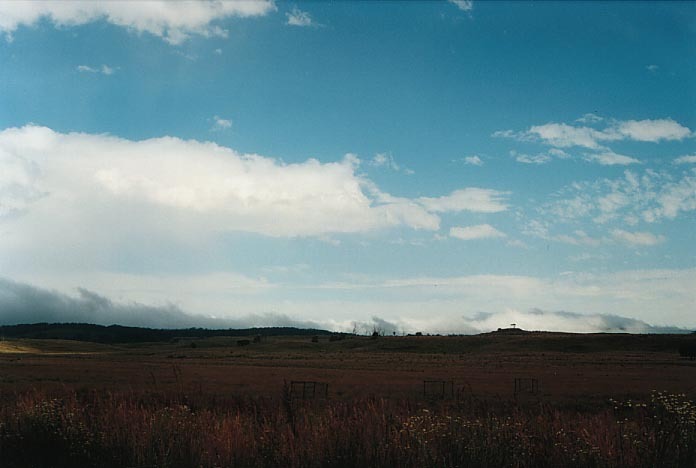 The target area was to be the North West Slopes or the Northern Tablelands. 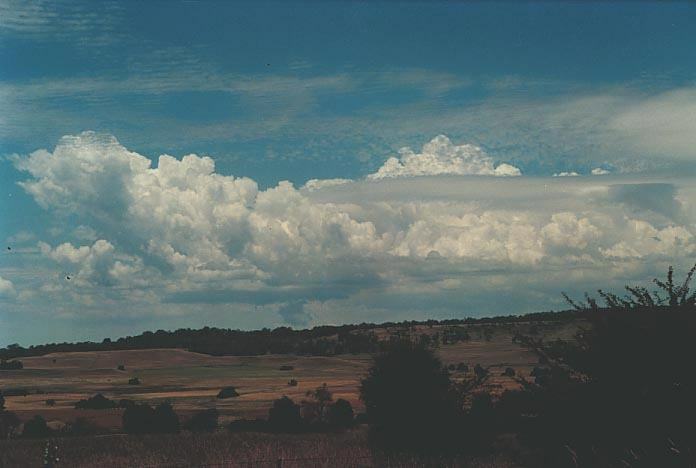 The Northern Tablelands was a guanteed storm region and I knew that there was sufficient moisture and instability to produce storms. The North West Slopes was much drier but if the cap broke, then storms would be strong and crisp as the moisture profile was more ideal. Further, the south easterly winds were slowly pentrating inland probably as an easterly flow. So I headed through the Hunter and then on to the North West Slopes. 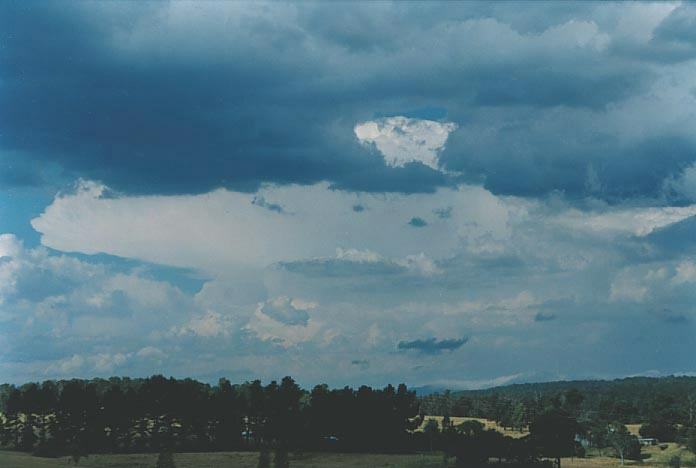 The stratocumulus with showers and drizzle cleared as I headed passed Jerrys Plains. It was expected to be quite hot and it was. 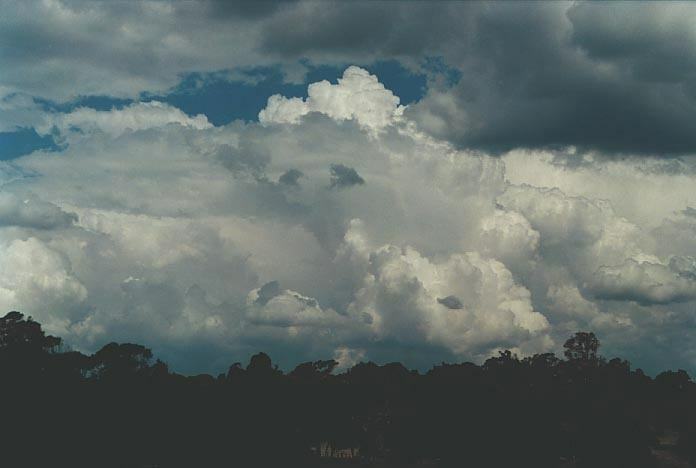 There was very little activity with only smaller cumulus as I arrived at Gunnedah. From here I continued on to Narrabri and alas, cumulus on the Mt Kaputar range east of Narrabri and a thunder storm to the west. This began to weaken just as I had thought of heading out that way. Lucky!!! 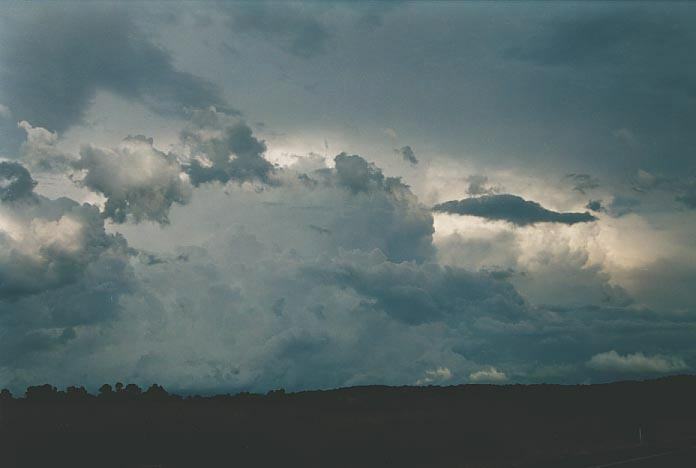 I had some contact from David Croan and he alerted me to an advice for severe thunderstorms on the Northern Tablelands. That'll be about right. I basically interrogated David for information about local conditions and it seemed that the conditions were not so bad. 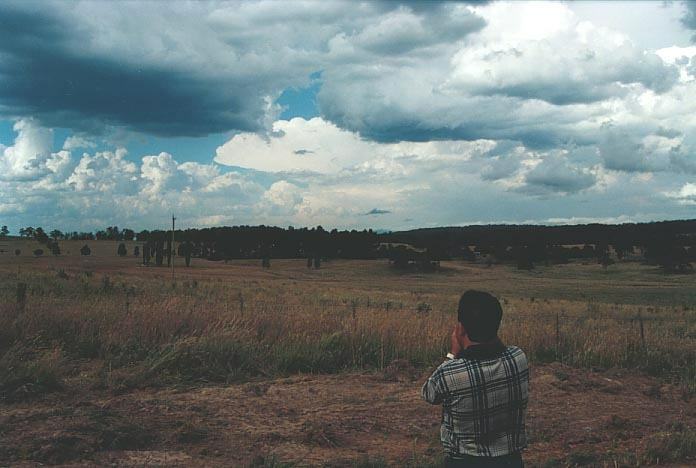 He had not picked up any cumulus fields for the area - even the large cumulus on the range as the current satellite picture was not available. Now this was starting to build into a crisp cumulonimbus calvus and with the fire basically gone, I concentrated on the bearing and accessibility of the storm. The road headed northeast to Bingara with some other roads towards Barraba. The road was dusty - I hope this was not what was accepted as good road. And there was more than few kilometres. I found out, most of the road was dirt. I was not impressed but still it was an omen. I actually took the road to get to the storms. And I was not disappointed. The storm had developed rapidly with an anvil expanding acrossthe region and I took some pictures and video of the impressive crisp structure at intermittent intervals. Lightning in a few cases struck from congesting cumulus on the edge of the storm activity. Impressive but dangerous. I had enough of the heat so I headed right under the main storm along the road to Barraba to check the size of the hail. Hail fell sporatically with hail up to 2cm. There were some heavy falls but most of the heavier activity was just to the east. As I headed back to the main road, several microbursts hit. 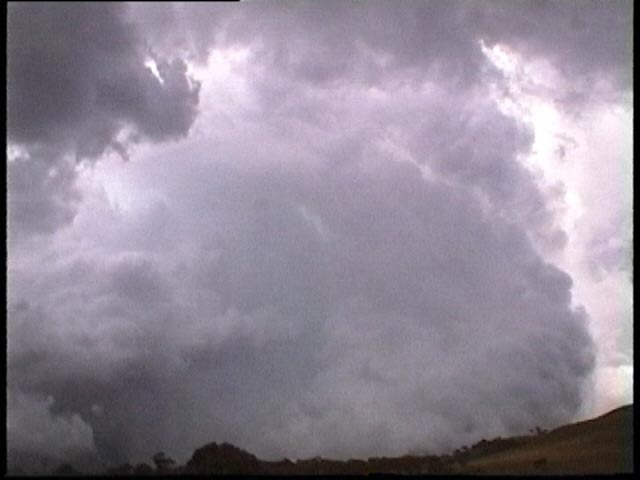 Though marginally severe, it was impressive and hail of similar size fell profusely in bursts. 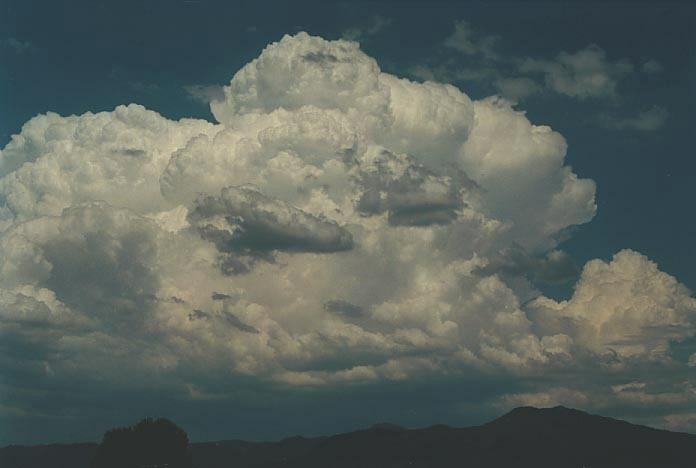 Meanwhile, I could see activity to the east - large cumulonimbus and large congestus. Since my activity seemed to be pulse dominated, I headed east. 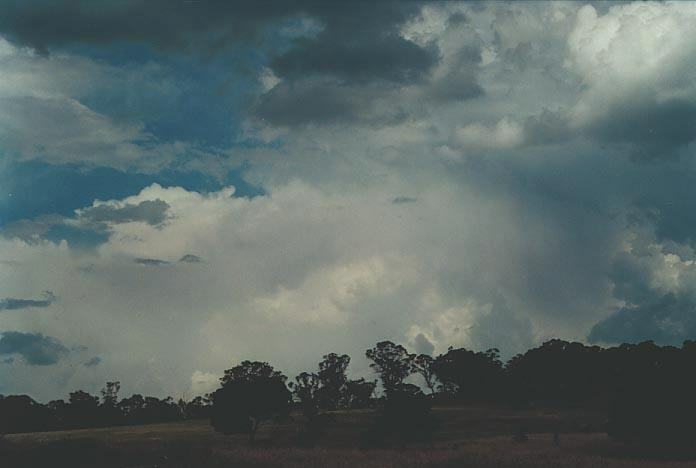 On approach to Bingara, I could see another impressive storm to the south adjacent to the cell I had just come out of. It was impressive so I headed towards it. About 5 - 10km down the road, I made one turn of the head left and my eyes popped out! I saw an mean and powerful updraught. It was an impressive structure and was looking explosive. 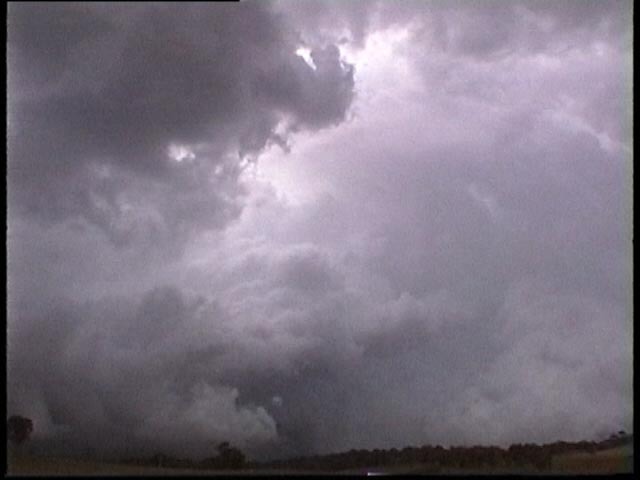 So a quick stop, a bearing check to locate the storm, a photo and some video, I turned around heading back to Bingara. 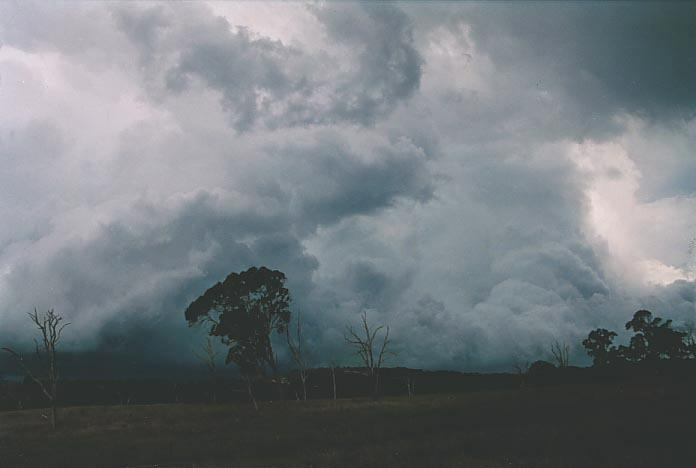 The road from Bingara headed to Delungra and this was one impressive storm. You could make out the hailshaft and intense precipitation. 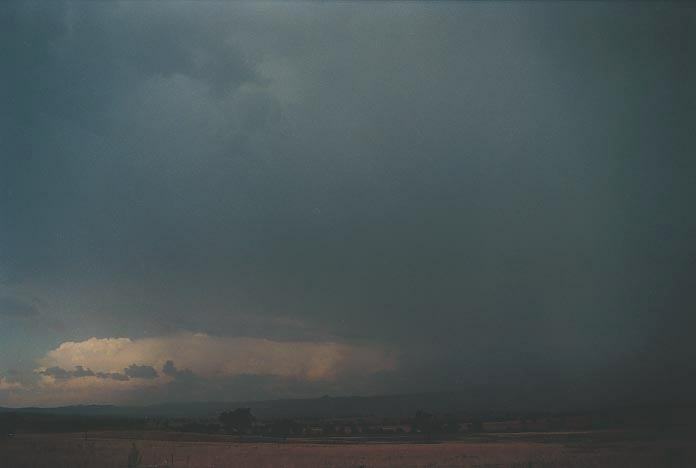 At one stage, a clear air lightning bolt struck the ground from the rear of the storm observed despite the sunlight. Sorry no video. Just before Delungra, I stopped for more video and photography, but also checked road possibilities in relation to the storms motion. Despite roads being better around here than say Narrabri, it proved to be a difficult decision. I chose roads north of Delungra aiming to be on the north and northwestern side of the storm. 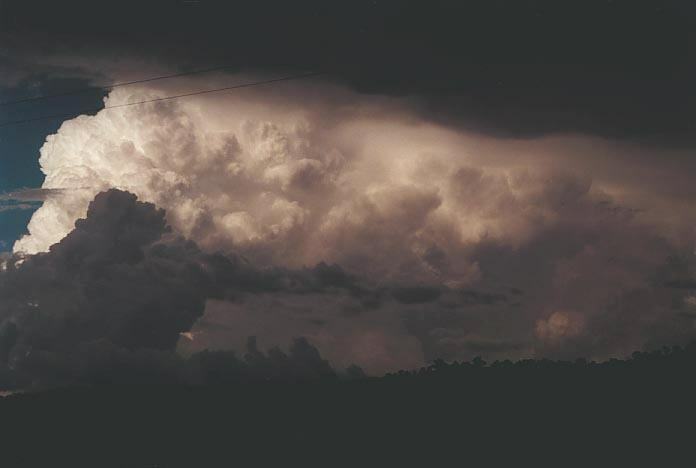 I knew going to Inverell, I would have been heading into it and this storm was serious probably dumping large hail and electrically becoming very active. The road north began well but the infamous dirt reappeared. I was able get onto a good tar road and view some good contrast activity with the storm slowly showing signs of turning (rotating anticyclonically). On the road again towards Ashford and dirt road again. In fact it was getting rather dangerous. The fine dust was making driving very difficult with car opting to slide around corners. Trust me, it is important people not assume that only wet weather makes driving dirt roads unsafe - this fine dust after all the dry weather made it extremely dangerous. 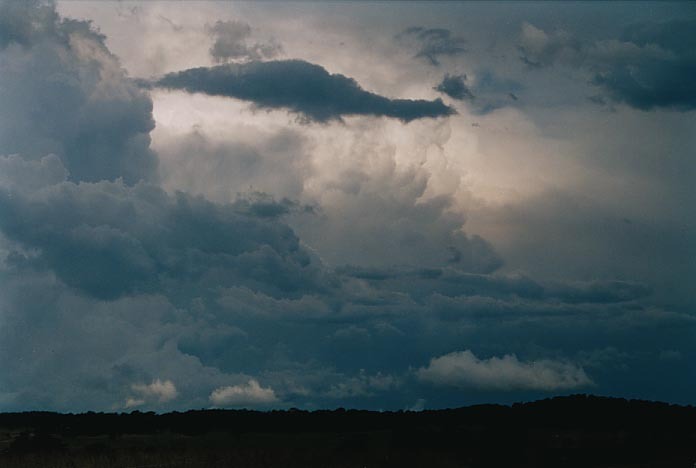 Finally, I was off the dirt section, and realised that with not much opportunities to chase this storm, fading light, and also another long day ahead, I decided to call it a day. Of course, I could not resist the temptation of videoing some lightning. 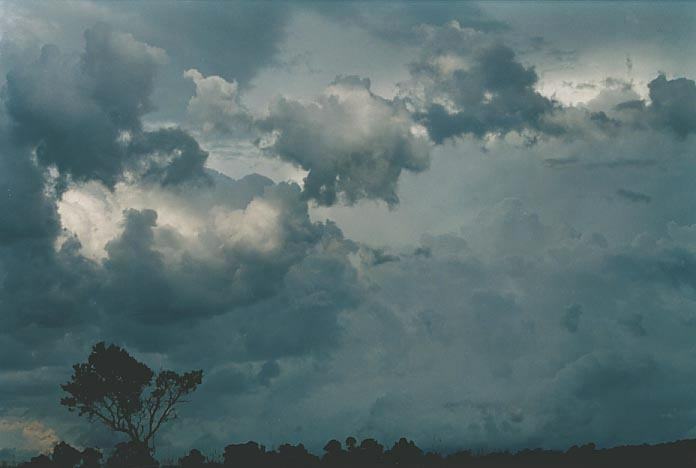 The night in Inverell was very muggy and hot - the locals suggesting that it was extremely unusual. I had not slept well during the night in anticipation of what the next day will yield. After breakfast, I went out of town and observed the situation. Then I got an unexpected call: Greg Bearup from the Sydney Morning Herald's Good Weekend magazine was wanting to know if he could do a story on me. After some deliberation on time, he decided to fly up to Tamworth and meet me with a hire car. I then headed east to Glenn Innes. This added some more difficulty to the chase: it was going to be a case of how quick Greg could get here determining my planning process. 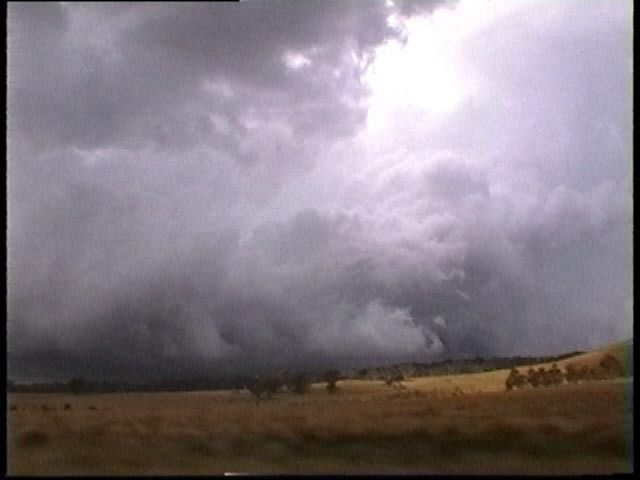 Checking the models at Glenn Innes, it was still consistent with a severe outbreak and supercells were still expected. 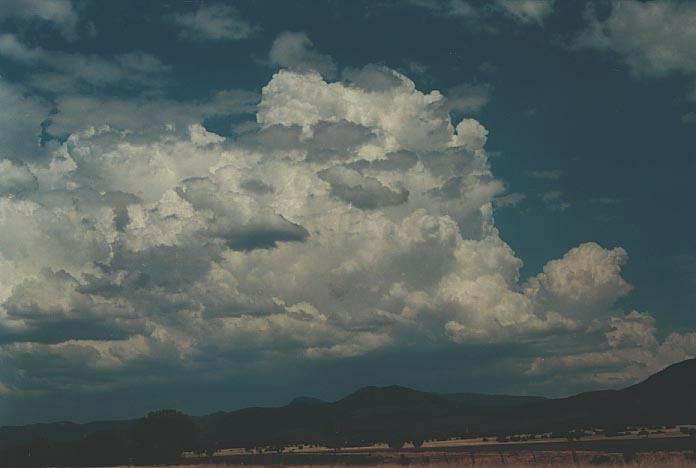 However, it took some time for the cumulus to develop over the ranges. It was obvious that the cap was strong and storm development would be later during the afternoon. Winds were fresh westerly. After some observation, I decided to head south to Guyra. From here there were opportunities to head in any direction. It was becoming obvious that the convergence zone was along the coastal range. I messaged Greg to meet me at Ebor. In a conversation with Anthony Cornelius, we both could see that it was taking a little longer than expected for it to develop but confident it would take off. As I headed east, I noticed that some of the congestus had developed dropping showers and rain. Some large drops indeed. There was an advice out for the Mid North Coast area. One of these was starting to take shape but it seemed all disorganised at this stage. 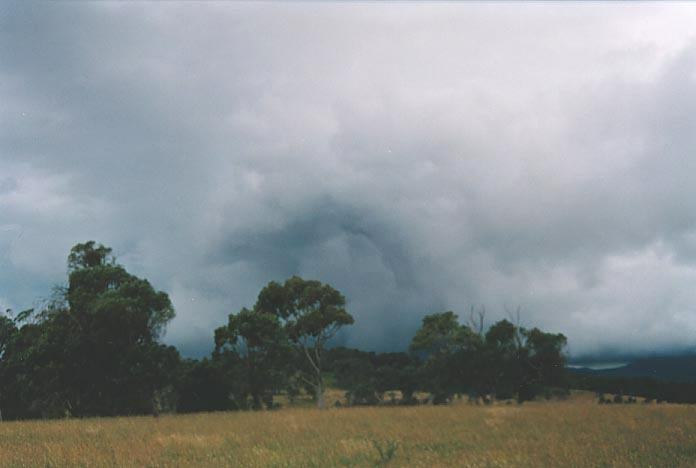 I also felt privileged to observe scud on the escarpment around Ebor. Low cloud was condensing in the convergence of the westerlies and moist northeast winds. Once meeting with Greg, I noticed that the sky was making its move. 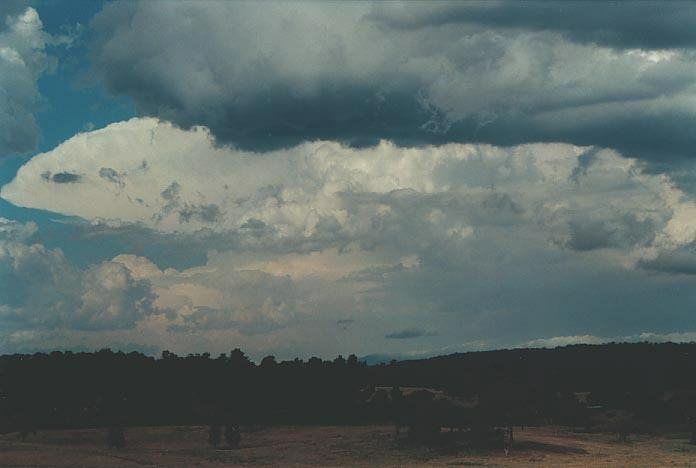 An anvil had appeared and was racing across in the strong upper level jet. So we made our way west to a vantage point north of Wollomombi. Wow!! 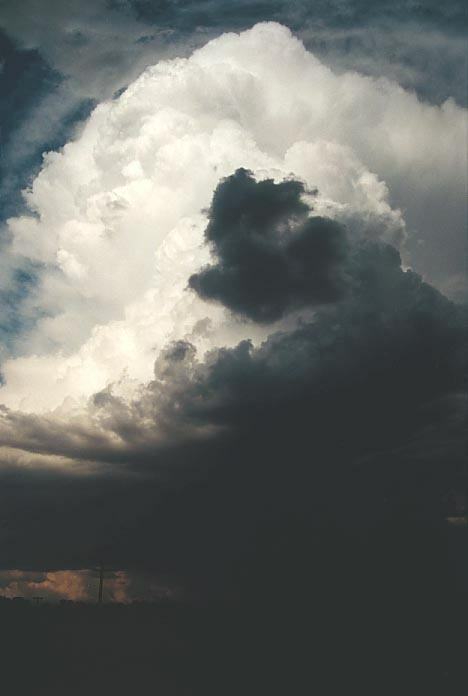 The disorganised development had organised into a crisp side anvilled supercell. And this was one hell of a powerful cell. It was to bear down on Casino and cause severe damage later that evening. There was no chance of getting that storm so I waited for evidence of the one approaching from the southwest. 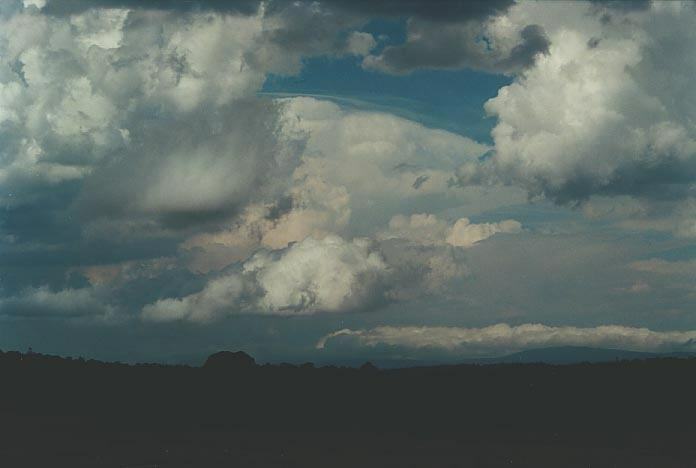 The anvil had spread well east and it was finally looking darker amongst all the cumulus hiding it from view. 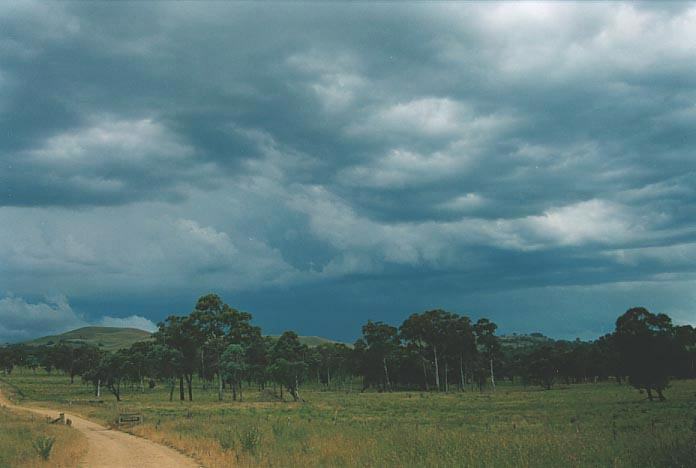 As we headed on the rock-ridden road towards Wollomombi, we noted the storm was moving in rapidly. It was quite large and spectacular. But the low cloud hid some of its features. Regardless of its progress, it took about an hour to approach. 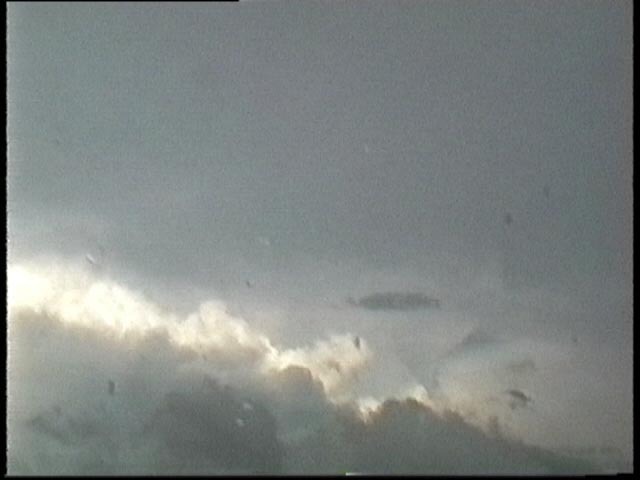 There was a funnel spinning possibly due to the convergence of the westerlies with the rear flank downdraught which looked more like a gustfront. It was now apparent that the storm had evaded us. Driving on the road back revealed the immense size of this beast. 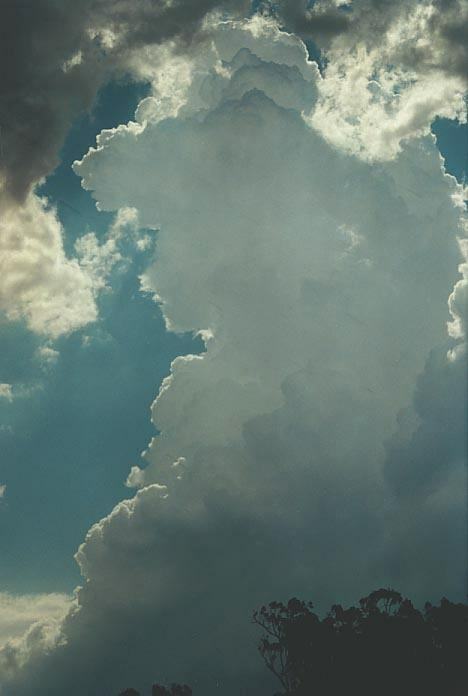 In fact, it was huge with major towers rising to heights that I could not see due to other clouds earlier. 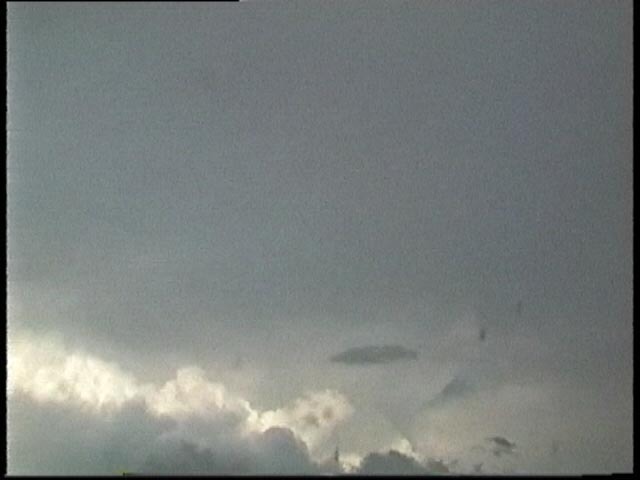 And there were several towers suggesting this storm was exploding. It was as if the towers had nowhere to go. I observed in awe at the event. After some video and photographs, we headed back to the main road again. 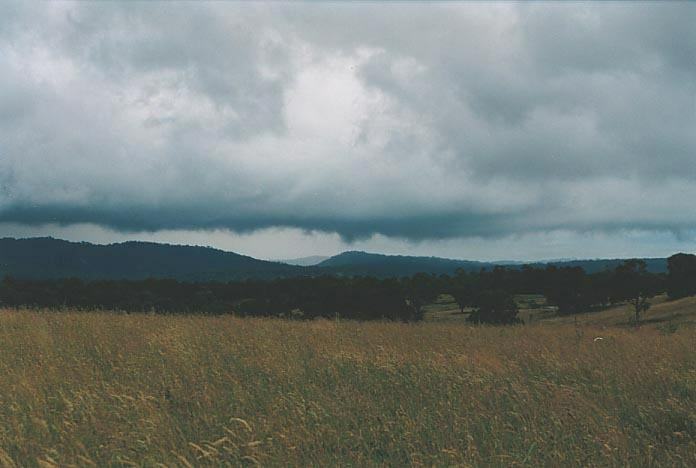 Greg and I departed as he went towards Guyra and I to Dorrigo. As I approached last stretch to Ebor, in view came a slight break in cloud revealing the true height of this storm. I thought I had observed the storm's top earlier but this backsheared anvil (in such a strong jet) indicated just how quickly this storm had exploded. I had not observed anything quite like this storm observed from the rear. 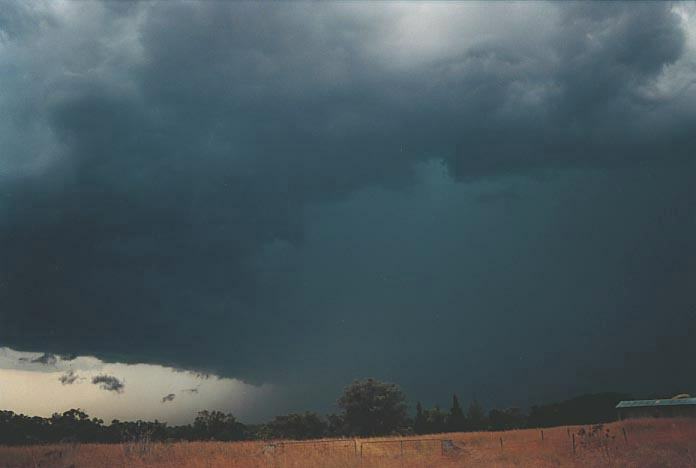 This storm eventually headed into the Northern Rivers causing damage in areas north and east of Grafton. 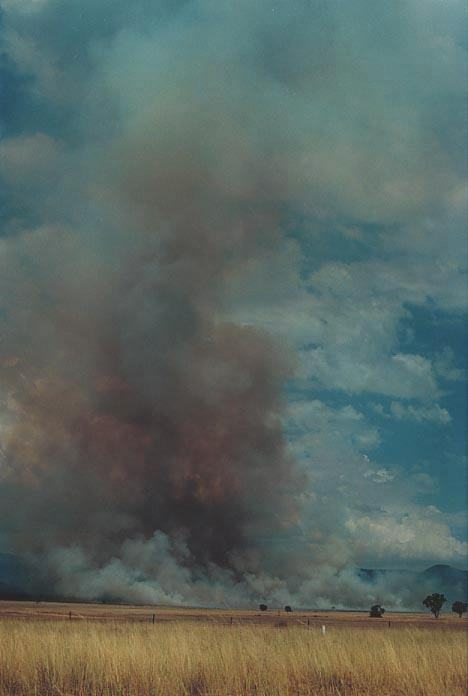 On the satellite pictures, it grew off the coast into a major complex the size of Tasmania giving the coastal communities a spectacular lightning show. There is one thing I can say about this event: the models certainly didn't disappoint. Even though it had been such a dynamic event, models can sometimes indicate something totally different from what actually occurs. There were several chasers active on this day, including Michael Bath and Dave Ellem who found themselves right amongst the Casino beast. 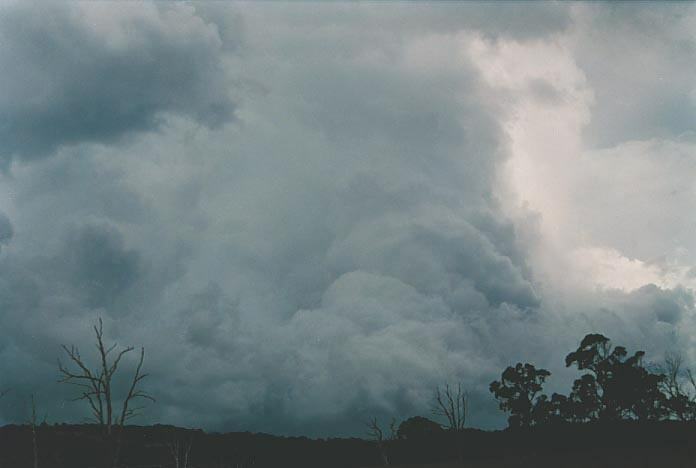 Most storms were severe (in fact most were supercells along the coastal areas) and produced large to giant hail, damaging winds and very heavy rainfall. Certainly an incredible day.